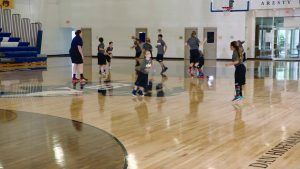 How Did Karl-Anthony Towns Prepare for His 2nd Season? 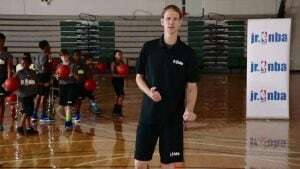 Watch Jr. NBA Coach Jeremiah Boswell explain how to warm up and stretch your hamstrings with high leg walking kicks. 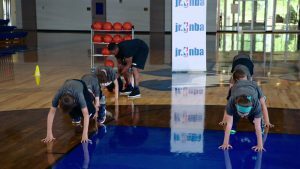 Watch Jr. NBA Coach Jeremiah Boswell demonstrate how to stretch out your hamstrings during warmups with the Walking Hamstring Stretch. 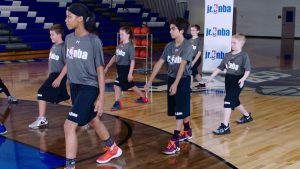 Watch Jr. NBA Coach Dana Simonelli play The Escape Game to add some fun to warmups. 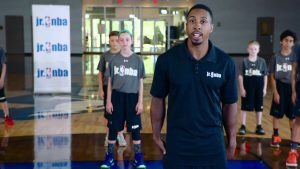 Watch NBA Strength & Conditioning Coach Mubarak Malik break down how a hip hinge can help loosen up your body. 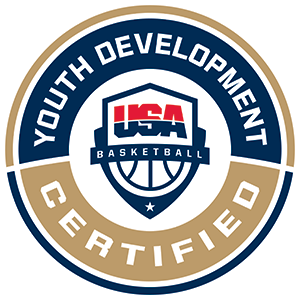 Watch NBA Strength & Conditioning Coach Mubarak Malik show how the bear hold exercise can prep your body for practice.